Do you need a signature from a witness in order for a contract to be valid. Most documents and contracts do not require a witness for them to be valid. But wills and documents that need to be registered with NSWLRS (Land Registry Office) have legal requirements in relation to witnessing. Who can be a witness to a document? The person you choose to witness a document should have no financial or other interest in the document that is being signed. An independent adult (over 18 years old) witness who does not benefit from the document is the best solution. Ideally a witness will observe the relevant party or parties signing the document and then the witness will sign the document as proof that they witnessed the parties signing. The witness is generally not required to know or understand the contents of the document. It is also important that documents such as wills have clearly regulated requirements regarding the number of witnesses and the nature of the relationship between the parties and the witness. Most States in Australia will not allow witnesses that are mentioned in your will, either as beneficiary or executors. The witnesses must be of legal age (18) and they must be mentally capable of managing their property and making their own decisions. Contact our office to get a clarification on witness protocol. Legislation imposing a time limit on the validity of a Survey Certificate accompanying a plan of survey will commence on 1 September 2018. The legislation will form part of the remake of the Conveyancing (General) Regulation 2018 (the Regulation). The legislation will apply to a plan of survey (as defined by the Regulation) lodged on or after 1 September 2018. It will not apply to compiled plans or strata plans. The cadastre is dynamic and regularly changing. A plan may no longer be current if there is a delay between completion and lodgment. By ensuring a plan remains current, the legislation will result in fewer requisitions being issued by NSW LRS and will help to maintain the integrity of the cadastre. The new requirements will formalise and enhance the existing practice of requiring plans to be updated to include current information. A plan of survey cannot be lodged with the Registrar General more than 2 years after the date of completion of the survey shown on the Survey Certificate unless it is accompanied by a Certificate of Currency attested to by the surveyor in the approved form. For plans lodged on or after 1 September 2018 until 31 August 2019, the requirement will apply where the survey was completed more than 5 years prior to lodgment. For plans lodged on or after 1 September 2019 until 31 August 2020, the requirement will apply where the survey was completed more than 3 years prior to lodgment. For plans lodged on or after 1 September 2020, the requirement will apply where the survey was completed more than 2 years prior to lodgment. The approved form will be published on the NSW LRS website www.nswlrs.com.au on 1 September 2018. To assist lodging parties prepare for the new requirements, please find a copy of the approved form here. A surveyor must attest to each of the matters in order that the plan can be accepted for lodgment. To fulfil these requirements, the surveyor will need to review the plan before lodgment to determine whether the plan needs to be updated and to make sure any consents from certifying authorities or other people are obtained. The Certificate of Currency is an additional Certificate to be attested to by a surveyor. The Survey Certificate accompanying the plan of survey does not require any further endorsement or alteration. Lodging parties must ensure they comply with the new provision when lodging a plan of survey. Town houses, units and some types of commercial property generally fall under these categories. Each unit and common property comes from one large parcel incorporating property and land. Each unit or allotment is given its own title as well as the common property (shared between all members of the group). The difference is in the way in which the land boundaries are defined. A Strata Title unit’s boundaries are defined by reference to parts of the building, not by the land. There must be an area of common property, for which everyone is responsible. Similar to that of a Strata Title holding, Community Titles are defined by lot boundaries and surveyed measurements unlimited in height and depth, as well as reference to parts of the building. Community Title Corporations are also appointed and comprise registered owners of the lots in the community scheme. The Corporation is responsible for the administration of the group’s by-laws and for maintaining the common property and any fixtures on the property. Apartment complexes generally fall into this category. From 1 July 2018, purchasers of new residential premises or potential residential land are required to withhold an amount of the contract price and pay this directly to us as part of the settlement process. The amount of GST will not change. This does not affect the sales of existing residential properties or the sales of new or existing commercial properties. Property developers will need to give written notification to the purchasers when they need to withhold. The liability for the GST remains with the property developer, and there are no changes to how property developers lodge their business activity statements. From July 1, eligible first home buyers and those looking to downsize their home will be able to use their super either to partly fund their purchase (first home buyers) or to deposit part of the proceeds from the sale of the family home (downsizers) read more at..
“Testamentary” is a legal term that means the issue relates to the making of a will. A “trust” is where one person holds the legal title of property for the benefit of another person (not themselves). A “trustee” is the person who take the ownership in “trust” for another person (known as the “beneficiary”). Under the trust the trustee owes a legal financial duty to the beneficiary. A testamentary trust is established under a will to appoint a trustee to use property for the benefit of the beneficiary in the way that the will specifies. Many people, especially those of wealth, create trusts to protect assets or to minimise tax. In the same way a trust can be set up under a will. These trusts can last for many decades following the date of death. A trust is a legal device that separates the ownership and control of an asset, which beggars the question, why is this useful in the first place? Rather than an asset passing into the personal name of a beneficiary (as it does in a traditional will), under a testamentary trust the asset passes to a trustee who holds it in trust for the beneficiary. The trustee then decides how (or if) the beneficiary will receive income and capital from the trust. From an estate planning perspective, testamentary trusts offer almost endless flexibility for accountants and financial planners. Let’s take the example of a couple with a child who has an intellectual disability. They naturally worry what will happen to the child after their death. One of the ways to deal with the child’s financial security is to set up a testamentary trust. In this way the testator (the person making the will) can direct how the assets will be used after their death. Another example might be where a parent is concerned about the marital situation of a child, and wants to ensure that only their child and not the child’s spouse inherits their wealth, or that the inheritance does not become subject to a claim under the Family Law Act. protecting assets where a beneficiary becomes bankrupt. Under the trust the trustee can either be given specific instructions on how the money will be spent, or they can be given a discretion. it may best allow for the best interests of the beneficiary to be met. This is a significant decision and should not be made without serious thought. The person you choose will have a lot of responsibility, and should have some financial management skills (or access to those skills). Private trustee companies are regulated by law. they are companies and therefore, unlike an individual trustee, can continue to act as trustee into the future. It is possible to appoint an individual as a co-trustee with the company. A family trust can form an important part of planning in your will. This can include thinking about protecting the assets you leave behind and also helping your loved ones deal with the financial consequences of inheriting your estate. So, what is a testamentary trust and how are they used? 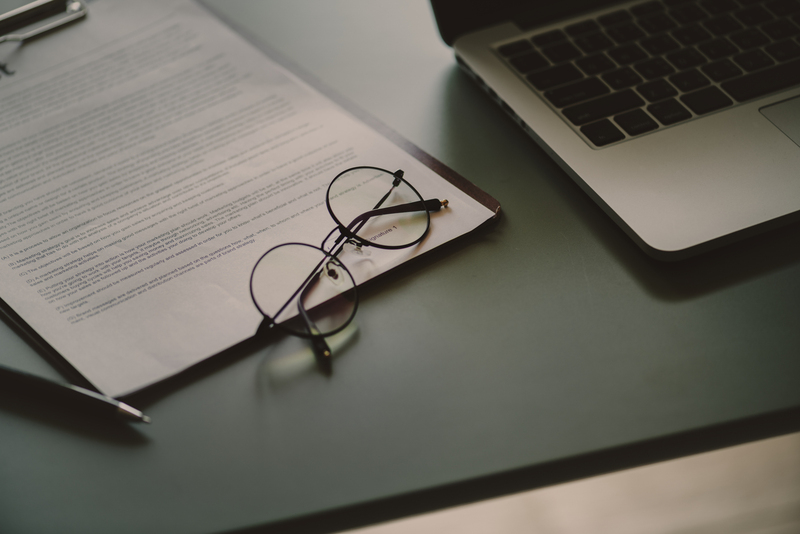 According to the Australian Tax Office (ATO) definition, a testamentary trust is a trust which is established according to a person’s instructions in their will. That is, the trust does not exist until the person who has made the provision in their will passes away. At this time under the terms of the will, the beneficiaries could be given the option to inherit their assets within a testamentary trust, rather than inheriting them directly. Investment and trustee group Perpetual says establishing a testamentary trust effectively allows you to “ensure that a trust over your assets is created on the day of your death, which means that rather than your assets being distributed directly to your beneficiaries, they are held for their benefit by a trusted individual or organization”. There are a number of different kinds of testamentary trusts, although in estate planning, commonly a testamentary trust is discretionary, which means the trustee has discretion as to which of the beneficiaries named share in the capital or income of the trust fund. Why would you leave instructions in your will to set one up? A discretionary testamentary trust is not for everyone. However, there are some benefits conferred by the structure that make it a good option in some cases. Say a couple has two children and either the husband or wife passes away. Under a standard will, the one spouse would leave all of their estate to the other spouse and vice versa. Usually if both spouses pass away then they will provide for the estate to be divided equally among their children. In the above scenario, where only one of the spouses passes away, then the surviving spouse would inherit all of the estate’s assets. The surviving spouse will then have to pay tax on any income and capital gains earned from those assets at his or her marginal tax rate, meaning that person’s tax bill could rise significantly and any unearned income distributed to children under the age of 18 would be subject to a penalty tax rate. Where there are young children or grandchildren under the age of 18, however, then inheriting assets within a testamentary trust can be more tax effective for the family. This is because Division 6AA of Part III of the Income Tax Assessment Act says that if a child under the age of 18 receives income from a trust established in a will then the adult tax free threshold of $18,200 (for 2012/13 and 2014/15) and marginal rates of tax will apply to the child. If the spouse who passed away in our example left an estate of $1m invested and it returned 10%, or $100,000, during the 2014/15 tax year and if the surviving spouse already earned a taxable income of $75,000 that year, then ignoring the Medicare levy, the surviving spouse would have to pay tax on an income of $175,000. This equates to a tax bill of $52,697. This is because each child is entitled to the $18,200 tax free threshold, with the amount over this taxed at 19 cents in the dollar. In addition to this, they would qualify for the low income tax offset of $445. So, this equates to a family tax bill of $32,890 – a saving of $19,807. Jonathan Philpot, specialist wealth management adviser at HLB Mann Judd, says that the other big tax advantage is where there is a large amount of unrealized gains with the inheritance – say a large share portfolio. The other reason commonly cited for establishing a testamentary trust within a will is protection of assets; that is, the desire to ensure that assets remain within the family for the benefit of direct family members. Philpot says that in his experience, while the benefits of flexibility in terms of distributions covered above is attractive, often more important to his clients is added asset protection in the event of things like future marital breakdowns. “It’s more about protecting your wealth so it only goes to your lineal descendants and there is no worry about half of your assets going to a child’s ex-spouse, which tends to be what people prefer,” Philpot says. Protection against a child’s bankruptcy can also be a motivating factor in establishing a testamentary trust as assets are owned by the trust rather than becoming the direct property of the child. Another instance where a testamentary trust may be used is to provide for a child with a disability, allowing for the assets to be used for the benefit of that child who may not have the capacity to handle financial matters following their parents’ death. Philpot cites a number of things to consider before establishing a testamentary trust. One consideration is the need to understand at what level of assets it becomes worthwhile to establish a testamentary trust. Generally, testamentary trusts provide the greatest benefit for larger estates with multiple children, Philpot says. Another is working out who will act as trustee of the trust – of which there can be more than one. For example, a trust may be established where one trustee is independent, such as a lawyer, accountant or other arms-length professional, and one trustee is the primary beneficiary of the trust. The reason those making a will may want to consider appointing an independent trustee is to ensure all beneficiaries’ best interests are looked after and that distributions are not influenced by things like family politics. For this reason, it can provide an extra degree of protection over assets. Philpot says that it’s important when considering the structure to speak with an expert – such as a specialist estate planning lawyer. Achieving a property settlement can be a long and painful process. Early provision of honest and accurate information and having realistic expectations can greatly reduce the pain. Divorce and separation is not easy. With this in mind, I turn your attention towards the property settlement. A property settlement involves the division of marital assets between separating partners. This can be a highly emotional process and as such both sides may become vindictive. If this happens, the process is all the more painful and drawn out for all concerned. Despite the obvious difficulty, an amicable approach is always favourable – especially where children are involved. Age and health of each partner. If this information is provided to your solicitors in advance, they may be able to mediate an agreement without recourse to court in the first instance. If you have any questions regarding family law or require assistance with a property dispute, feel free to contact our office.